While getting older may not be optional, choosing to embrace life in all its richness is—no matter what your age. St. John's is here to help you do just that, offering all the senior services you need to live a life that's as active and fulfilling as possible, both right now, and down the road should your needs change. Someone to take care of the yard of your private cottage. A bit of help getting going in the morning. Rehabilitation services to get you back on your feet after surgery. 24/7 skilled nursing care. All that and much more is available at St. John's Rochester, NY communities. Monroe County and the Greater Rochester, NY area. 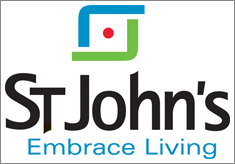 St. John's is a leading provider of a full spectrum of senior services from independent living to skilled care and hospice in the Greater Rochester, NY area. St. John's is the best decision I ever made. I left a house I dearly loved, but I don’t miss it at all.